Hide deals from seller "Rockford Billiard Café"
Hide deals from category "Pool Halls"
Limit 1 per person and per table. Valid on 2 hours of billiards. Promotional value expires 60 days after purchase. Advertising solicitation prohibited. 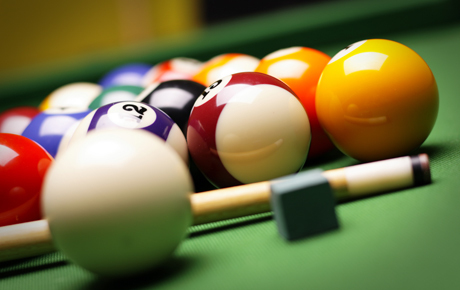 Cue in on a good time with this deal for 25% off two hours of billiards at Rockford Billiard Café ($12 value). Pool hall in Rockford offering food, drinks, a variety of pool tables and a full-service pro shop.